Because we like to stay informed about what is new in IT and we love gadgets, we want so share with you the latest cutting edge innovations and technologies on the market. This year, in the annual Consumer Electronics Show (CES) in Las Vegas, a lot of wacky tech, offbeat and strange lurking devices and equipment was presented. From devices that zaps us into a good posture, wearable fitness gadgets, remotes that helps to your dog training to some 4k digital cameras. So, here are a few of some most interesting and weird thingies in, this year’s CES. If you are one of us, a gadget junkie, you have to know that 3D Systems Corporation is launching the ChefJet 3D Printer. This is a kitchen ready countertop 3D printer or we can say, a futuristic candy maker, used to produce sugary treats in 3D geometrical shapes. It comes with a few recipes and flavours, like chocolate, mint, vanilla, cherry, watermelon and sour apple. The ChefJet 3D Printer should be available on the market from around June or July, this year, and the price is expected to be under $5,000. This is the CES’ 2014 version of the extra-terrestrial robot from the TV series Doctor Who. And it doesn’t come to wipe out the Earth, but to play music. It is a Bluetooth speaker system, handmade Dalek replica, produced by Massive Audio. Among its features we can mention the 32 woofers on its skirts, the subwoofer in its head, 5,000 watts amplifier and it issues commands and obeys your smartphone. As future developments, Massive audio plans to make Dalek Massive move its head and limbs and auction it off for charity. We are talking about the FLIR ONE, a personal thermal imaging device that can spot supernatural visitors with no help from the Ghostbusters. The FLIR ONE can fit as a case for the iPhone 5 or 5s and can scan heat signatures. In fact, this is a visual and thermal camera, a forward looking infrared. It also comes with a battery, which can be partitioned to charge your smartphone on the go. If you want a good posture, then this gadget is what you need. The Lumo Lift will actually zapp the wearers every single time they slouch. It clips under the collar, bra strap or undershirt and when a beginning of a slouch is detected, it vibrates. So, for overzealous parents or posture fanatics, the Lumo Lift can be found at LumoBodyTech.com. At the moment, the company is trying to crowd fund this posture device and, according to them, the first Lumo Lift will be available on the market in the late spring, for around $59 to $79. If you are missing a mother’s nag, then you can finally buy one. 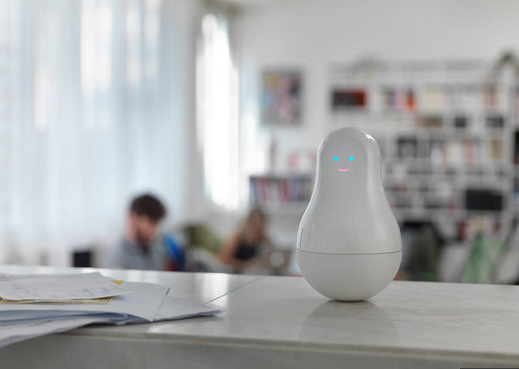 Mother is a gadget with glowing eyes, a body that resembles with a bowling pin or a Russian doll and receives wireless data. The other parts of this device are the Motion Cookies, which can be placed on drawers, keys, coffee machines, doors, pill bottles and even onto your toothbrush, to track activity in your residence. These Motion Cookies send data to Mother to help the owners track their eating, hygiene habits, fitness and, why not, security, according to Sen.se, the manufacturing company. We had phones, but now we have smartphone. Today we have beds, tomorrow we’ll have smartbeds. Yes, Sleep Number, the company that produces this smartbed, wants to track our sleeping activity and nudge us into a blissful rest. Just by using vocal commands, the owner can make the bed more firm or soft and change the elevation of the bed by 12 times. Besides that, the bed monitors your entire body activity or movement and the data is sent to a tablet. Based on this data, the bed can modify its firmness and, according to Sleep Number, event nix snoring. And if that is not enough for you, the bed can give you a massage on command. First there were the fingerprints, then the vein pattern. As strange as it sounds, it’s true. Unveiled at CES, the PulseWallet consists of sensors which photographs the unique pattern of the palm’s veins. After the identification is completed, the system deducts payment form a previously registered credit card. The manufacturer claims that this type of transaction is more secure than others mainly because an impersonating is almost impossible. Still, some are sceptical. What do you think? For people suffering from hair loss, Apira Science Inc. has developed the iGrow, a helmet with 51 lasers and LED lights that, presumably, stimulate the growth of hair. This is called low-level laser therapy and the company claims that the hair follicles are excited and stimulated so the hair grows. Unfortunately, there is little detail about the actual science behind this. If you want to have the best results, according to Apira, the iGrow needs to be worn at least 20 minutes, every day, for six months. And to maintain the results, the user would have to put the helmet on every week, indefinitely. But wearing this helmet is not a boring task. Apira retrofitted the iGrow with iPod and MP3 interfaced earphones. The latest version of the iPhone case is a stun gun case. Wow. Developed by Yellow Jacket, this smartphone case can fully charge your iPhone and jolt an attacker with 650,000 volts, in the same time. The case fits both iPhone 4/4S and iPhone 5/5s, comes in various colours and with a detachable stun gun pack. Poppy 3D is a device that looks like a pair of binoculars, but with it you can see 3D videos using your iPhone. The phone is placed in a slot, on the top of the device and then Poppy splits the captured image in two using mirrors. When looking into the viewing part, one eye sees an image, the other one another. The brain will fuse the two images and the video will appear in 3D. This is where the technology brought us. We can control our pets remotely. The new Pet-Remote from Tractive is a prototype that makes your dog execute your commands from afar, from your smartphone or iPad. First, a small device is attached to the dog’s collar. Second, you train your pet to obey a command. Third, when the pet gets your orders right and you offer treats, turn the Pet-Remote on, to vibrate, emit an electronic noise or both. This way the dog associates the command with that feeling or sound. In action, when your pet is running around in the park or misbehaving, just press a button and your dog will have the desired behaviour from max 100 feet away. You can find out on the crowd sourcing IndieGoGo website, if Tractive’s project will meet the fundraising goals and when the product will be available.